India’s attempts at generating electricity from renewable sources have got a boost from the World Bank in the form of a $98-million loan agreement. The government signed the agreement with World Bank on Monday along with a $2-million grant agreement. Under the agreement, the Shared Infrastructure for Solar Parks Project will finance the Indian Renewable Energy Development Agency (IREDA) that will give out sub-loans to select States for investing in solar parks, an official statement said. The first parks that would be financed under this project will be in Rewa and Mandsaur districts of Madhya Pradesh with targeted installed capacities of 750 MW and 250 MW, respectively. The funds under this project would be used by IREDA to develop common infrastructure — such as power pooling substations, intra-park transmission infrastructure and for providing access to roads, water supply and drainage, among others. According to Sameer Kumar Khare, Joint Secretary, Department of Economic Affairs, Ministry of Finance, who signed the agreement, this project would help the government fulfil the target of installing 100 GW of solar power by 2022. “India’s goal of scaling up the provision of clean energy will require a vibrant market for solar investments. 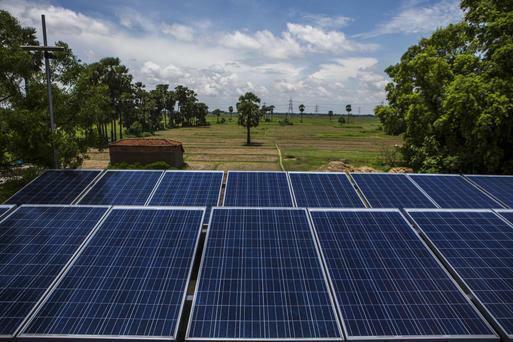 The challenge for this project is to go beyond investments; it is to deepen the solar market,” said Junaid Ahmad, World Bank Country Director in India.